Posted on October 28, 2016 at 10:33 am. A lawsuit has been filed following a pokies test on Dolphin Treasure, in the latest developments in the Crown and Aristocrat case. In September, TopOnlineCasinoSites detailed law firm Maurice Blackburn is suing Crown casino and Aristocrat on behalf of Shonica Guy. 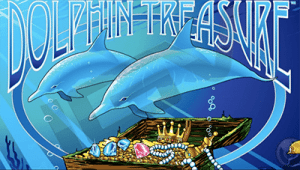 Ms Guy is claiming the Melbourne venue has been deceptive and misleading in offering the Aristocrat Leisure poker machine, Dolphin Treasure. Maurice Blackburn submitted the claim on Wednesday morning to the Federal Court seeking a declaration from Crown and Aristocrat that the machine has been manipulated. The claim is also demanding a restraint on these machines being offered in the future. The submission follows an intense analysis of the Dolphin Treasure machine by academics who took it apart and found reel 5 spinning much larger than the others. This is said to have reduced the chances of winning. Additionally, the analysis revealed one reel had just one winning symbol, while the others had multiple, ultimately deceiving players. “It’s like playing a game of cards without knowing that the deck has four aces of spades, three queens of hearts and seven tens of diamonds,” Maurice Blackburn Lawyer, Jacob Varghese, said. “It’s one thing for a machine to be designed for entertainment purposes. Senator Nick Xenophon said the lawsuit filed against Crown and Aristocrat will lead the way in changing the national standards for poker machines. “This lawsuit should serve to zap our Governments into action before it’s proven that they’ve allowed two hundred thousand of machines to deceive millions of people across Australia,” he said. While Ms Guy has lost tens of thousands of dollars on these types of machines, including Dolphin Treasure, she isn’t seeking compensation. “She is seeking a restraint that these kind of tricks are taken out of poker machines,” Mr Varghese stated. “There is a federal law that protects consumers, and establishing that they are bound by that law, and that they can’t conduct their activities with deceptive and misleading conduct, will have ramifications across the industry,” Mr Varghese said. Ms Guy believes she has been ripped off, despite the Dolphin Treasure once being her favourite machine to play. “You put more money in because you think the win’s just around the corner,” she said. Following the recent incident of 18 staff being arrested in China, Crown said it would strongly defend any allegations. Unfortunately, land-based casinos can get away with much more than online casinos which are regulated by advanced gaming jurisdictions. However, if this gets proven in court the there will be huge ramifications for both Crown Resorts and Aristocrat Leisure. Regardless, land-based pokies already have a higher house edge than online titles, let alone being subjected to the manipulation in the houses favour – so stick to secure and regulated online casinos, such as Raging Bull Casino.